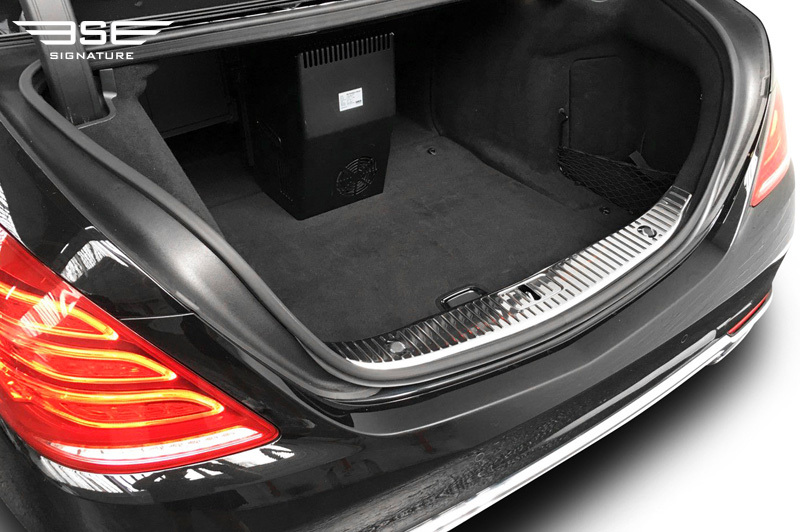 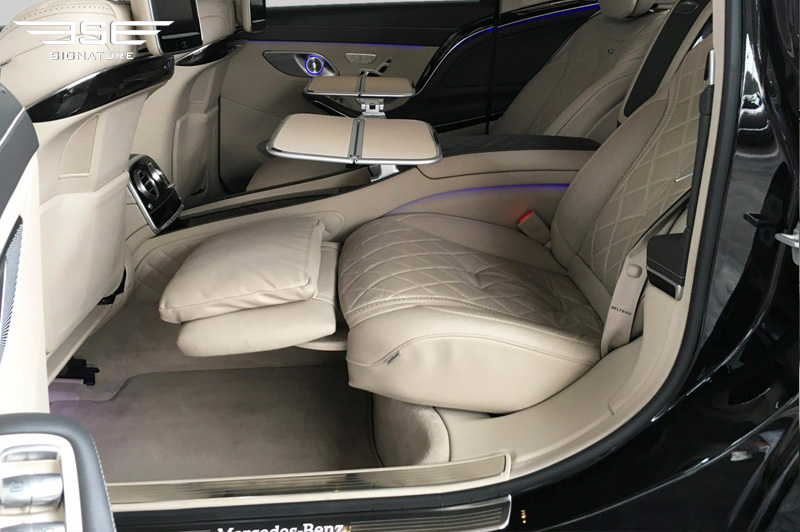 Our Mercedes Maybach S600 rental car was built to be the pinnacle in luxury for the executive market. 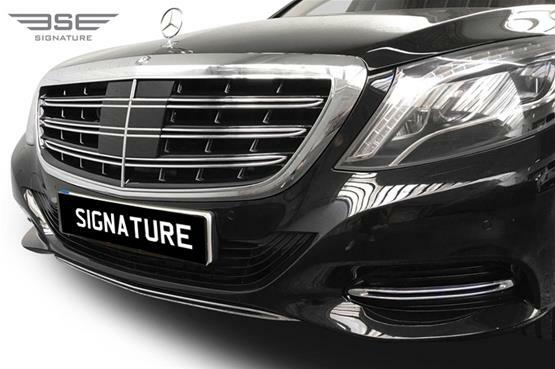 You can expect ultimate levels of elegance and power on your rental car hire journey with the Maybach, whether you choose to hire it on a self-drive hire basis or with one of our executive chauffeurs. Either way, you won’t be disappointed! 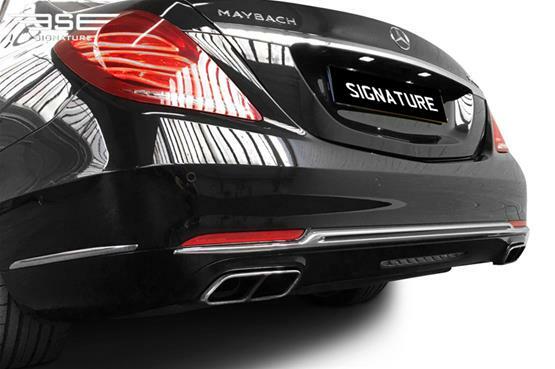 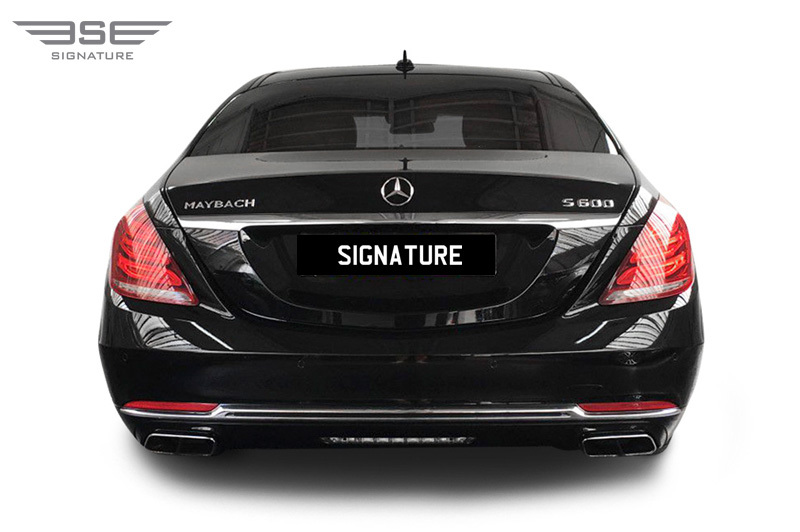 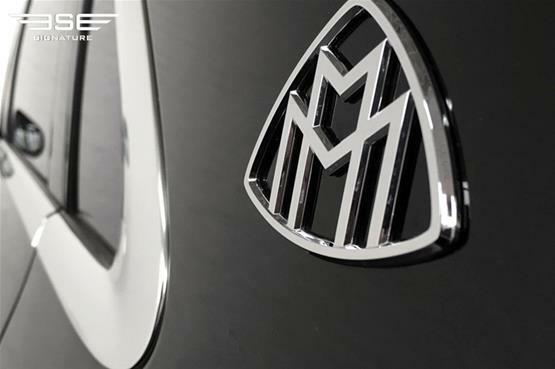 This model comes with the iconic Maybach badge to pay homage to the historic subdivision of Mercedes and the brand established to signify the absolute pinnacle of luxury, power and refinement. 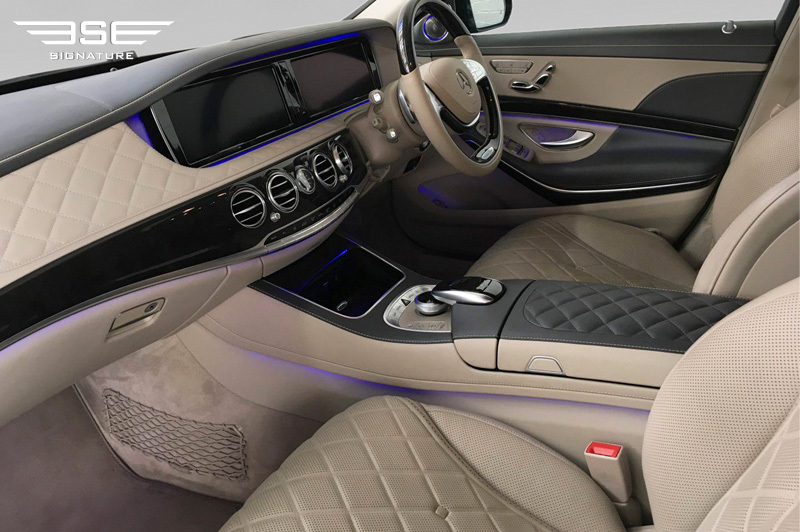 Mercedes then set about upgrading and enhancing the already more than capable S-Class to create a luxury saloon car that brings luxury to its ultimate level, all of which you can enjoy with our UK car rental service. The overall silhouette is still fundamentally S Class in design, however with clever re-engineering the designers have added to its overall length and height to provide vast amounts of space for executive and VIP passengers to enjoy whilst at the same time projecting an understated civility. 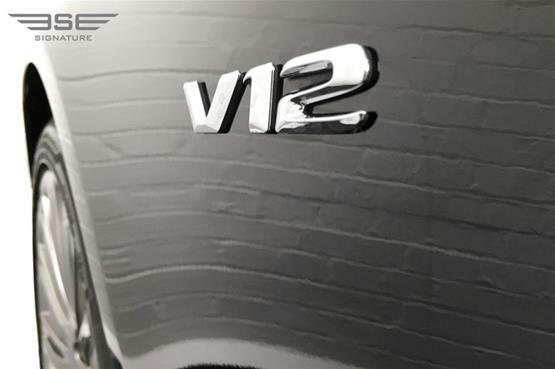 The changes that you will notice include the purposeful three bar front grill, chromed window surrounds plus C panel mounted Maybach logo and V12 badges on the front wings. 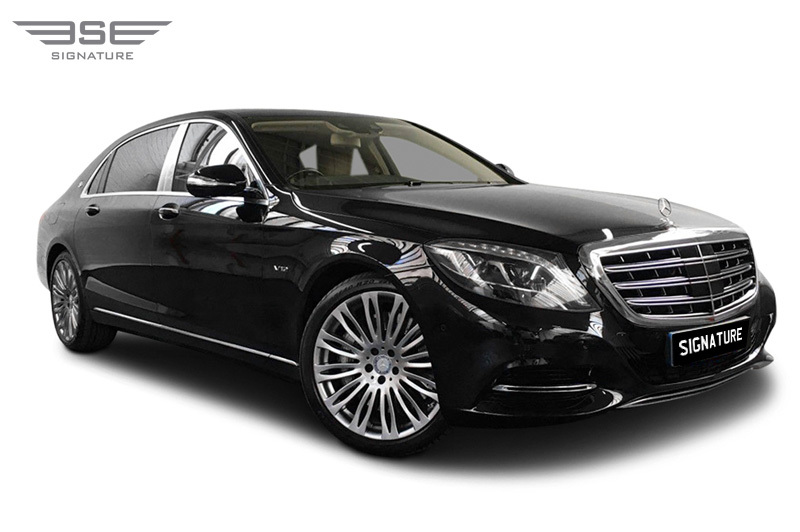 This hire car is sublime and does everything spectacularly and although it is a very large vehicle it still provides its driver with the full S-Class experience of being a very enjoyable drivers car. 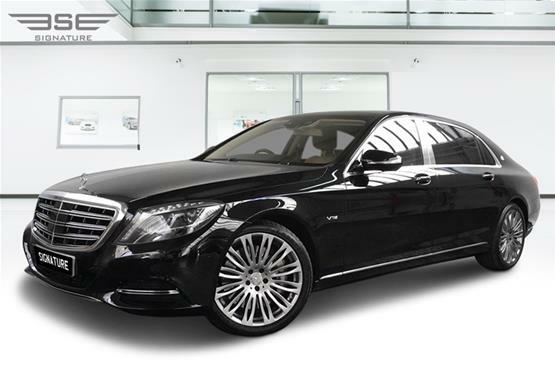 However, this model is all about the passengers and it is this that takes this spectacular car to a whole new level. 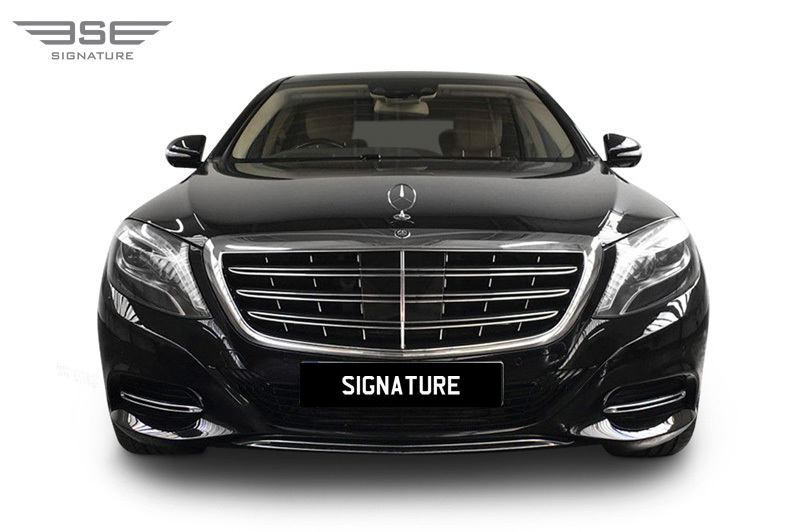 This is rarefied top-end luxury travel at its best, achieved by providing occupants with the ultimate cosseted travel experience. 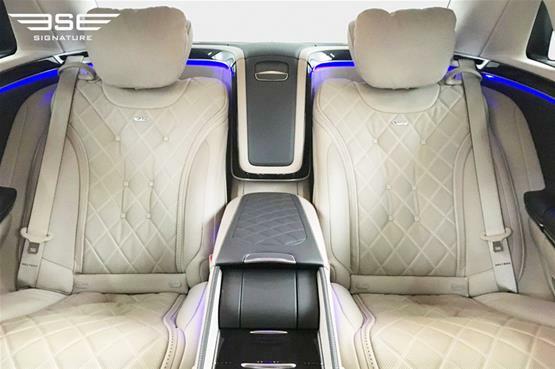 The rear seat space and comfort is truly exceptional, as are the materials used, the fit and the finishes. Our rental Mercedes Benz Maybach S600 comes with a First Class Cabin that includes individual rear seats that are fully reclining into, with individual TV's, folding tables, Champagne flutes and a refrigerated compartment. 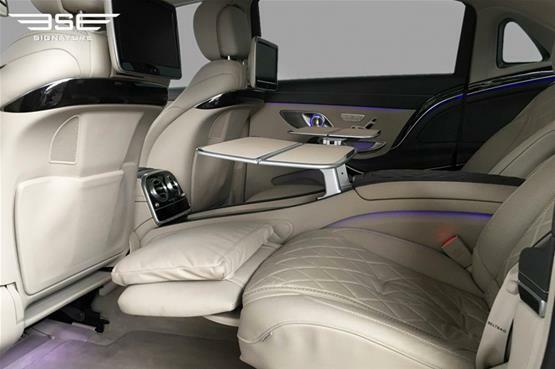 The level of technology is also unsurpassed; ranging from fully reclining, airline style, seats with a variety of seating positions and inbuilt foot rests along with fold down tables, individual air controls - including choice of fragrances, multi-choice mood lighting, and outstanding entertainment systems. 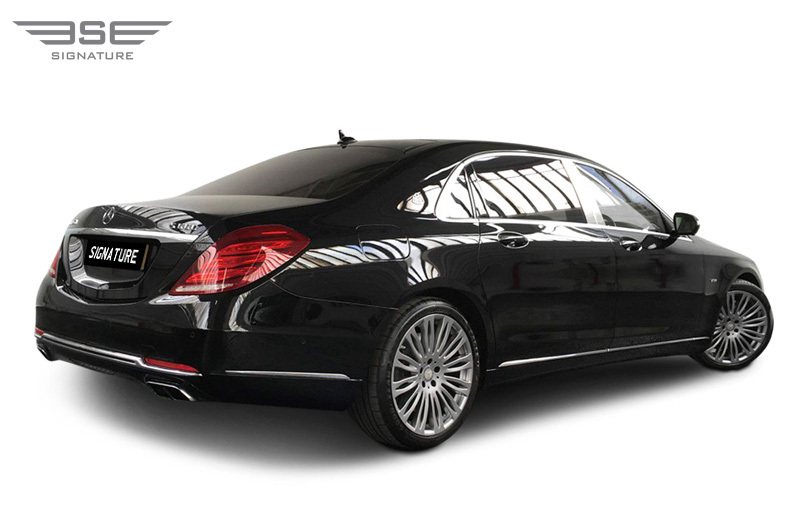 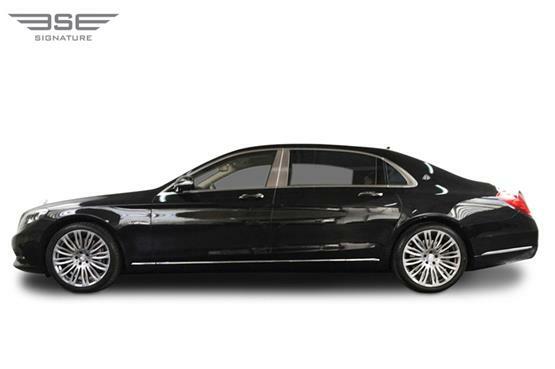 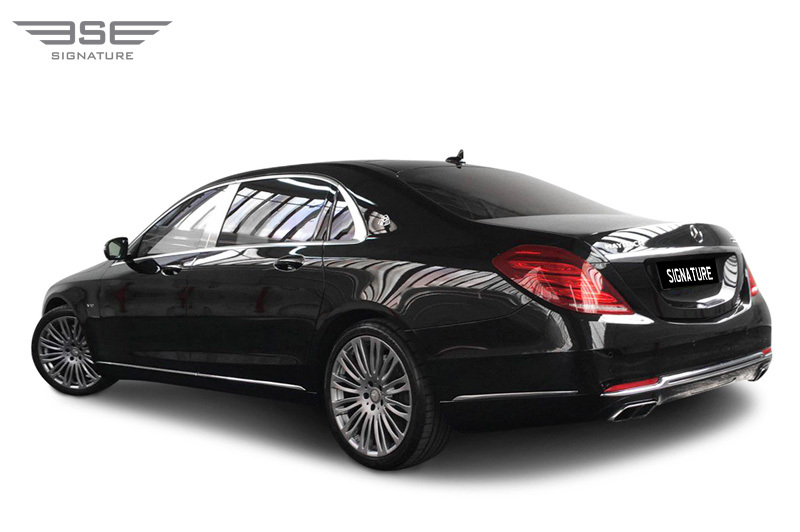 This Maybach hire car comfortably matches and in many areas surpasses the competition.